On This site you will find some pics of my MG Midget gearbox conversion to Ford Sierra type 9, 5 speed gearbox and also some pics of an unusual Metro based 3 wheeler. 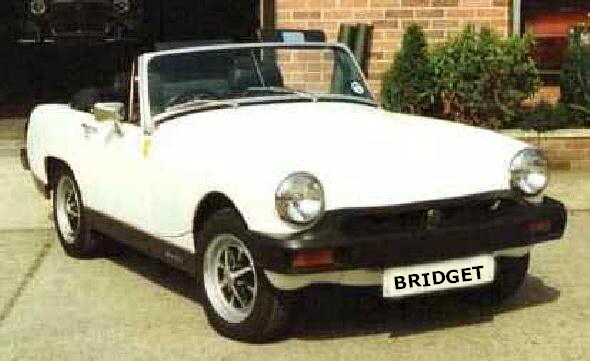 I no longer have Bridget. She is now living it up in sunny Cyprus. Footnote. This conversion was done in 2003/4 and prices and parts availability may have changed. Nicked for Speeding or Parking? Another legal problem? Really cheap legal advice from solicitors and barristers online.